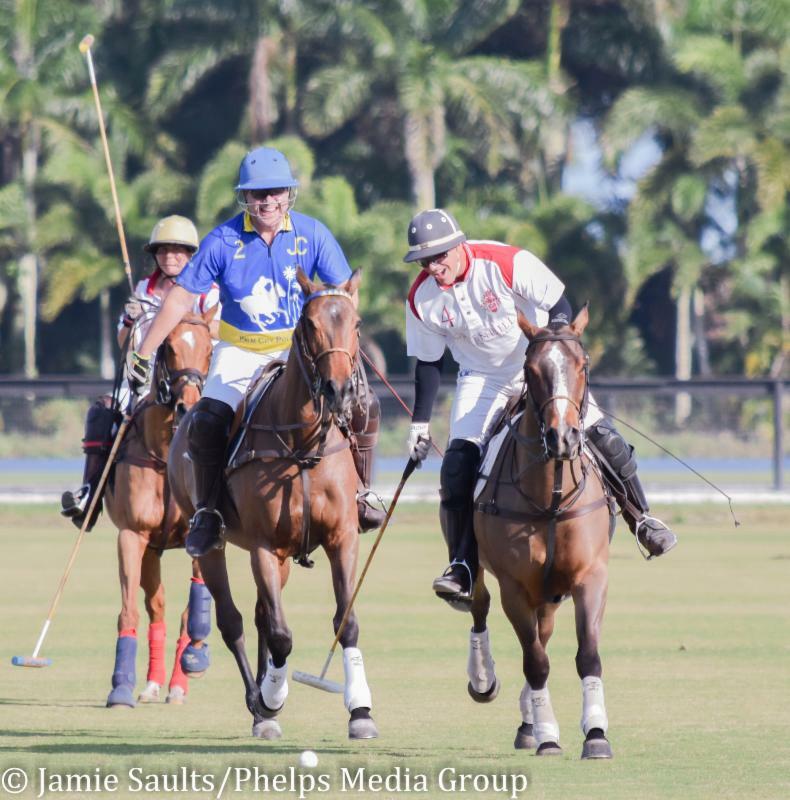 BOYNTON BEACH, Fla. – Jan. 26, 2017 – Tournament play was in full swing at Palm City Polo Club this past weekend with teams from Boca Polo, Greenhill Winery and Tuff Rider all posting wins. Boca Polo showed Palm City Polo that they were out for vengeance, scoring three goals right out of the gate. 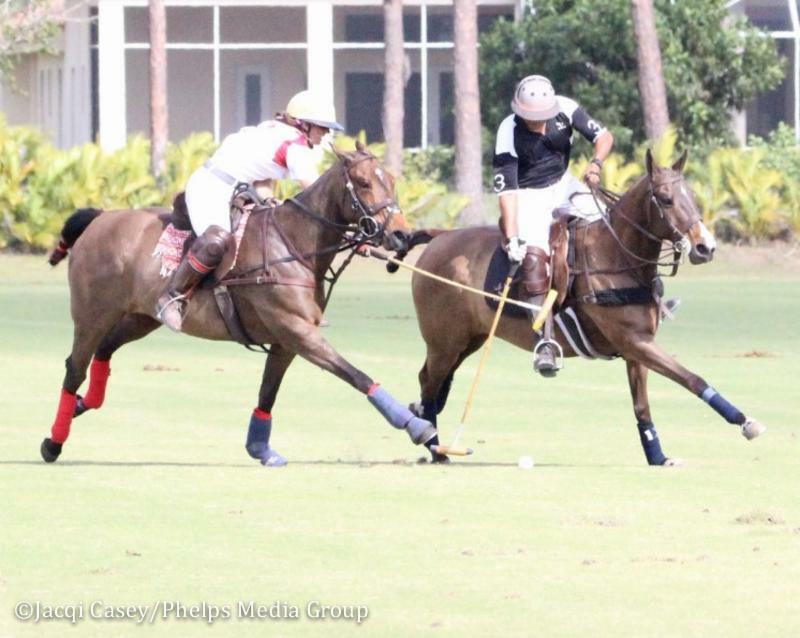 Subsequently, Boca Polo scored in every chukker to defeat Palm City Polo 7-5 in the 6-10 goal tournament on Saturday. Peter Nathanial led the charge posting two goals for Boca Polo along with one from patron Timmy Sharma in the first chukker while Whitney Ross notched the only goal that chukker for Palm City Polo. In the second chukker, the pendulum swung with Palm City Polo scoring three goals to Boca Polo’s single shot leaving the match in a tie at half time 4-4. Boca pulled ahead in the third chukker 6-4 thanks to Sharma sending one through the posts along with Omar Sosa in the third chukker but none from Palm City Polo. In the fourth chukker, each team notched one more goal keeping Boca in the lead for a final score of 7-5. On Friday, in the 3-6 goal tournament, Greenhill Winery started the match with 1.5 goals on the scoreboard due to handicap, which helped them defeat Precise Property, Inc. by a mere half goal. Precise Property, Inc. fought hard to win with Peter Nathanial scoring four out of their five goals, yet the handicap advantage proved to be too big of a green hill to climb. Even with the handicap, it looked as though Precise Property, Inc. was headed for the victory lane holding the lead for most of the match. In the first chukker, Nathanial scored twice and once in each subsequent chukker, while Greenhill Winery recorded only one goal. At the end of the third chukker, the scoreboard showed Precise Property, Inc. ahead 4-2.5. Greenhill Winery came alive in the final chukker scoring three goals, two by Whitney Ross while Mike Egan notched one for the opposing team to end the match 5.5-5. Greenhill Winery Precise Properties, Inc.
Two days later, the team from Tuff Rider kept Greenhill Winery from completing a tournament hat trick dominating the game to win 5-2.5 on Sunday. 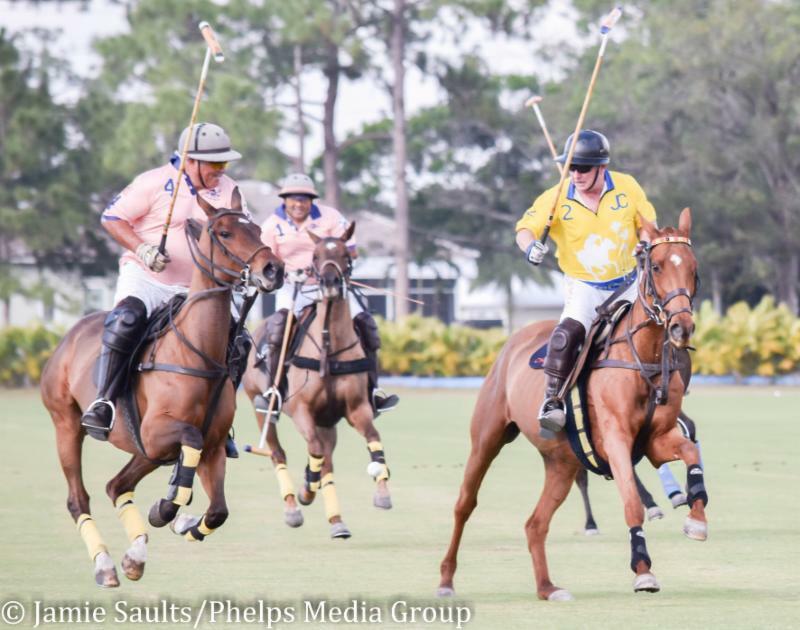 Greenhill Winery started the game with a half goal in the can, however they only managed to score two goals in the first half of the game, while Tuff Rider scored in every chukker to easily take the match in the 3-6 goal tournament. Each team scored once in the first two chukkers, keeping Greenhill Winery in the lead at halftime 2.5-2. Bob Kohn and patron Timmy Sharma posted goals for Tuff Rider while Hilary Mroz-Blythe and Rebekah Pizana put two on the board respectively for Greenhill Winery. During the break, Greenhill Winery seemed to have lost their drive failing to record any goals for the remainder of the match while Tuff Rider’s consistency vaulted them into the lead. In the third chukker, Sharma scored along with Gwen Rizzo to go into the final chukker 4-2.5. Rizzo scored once more for Tuff Rider to secure the victory 5-2.5.